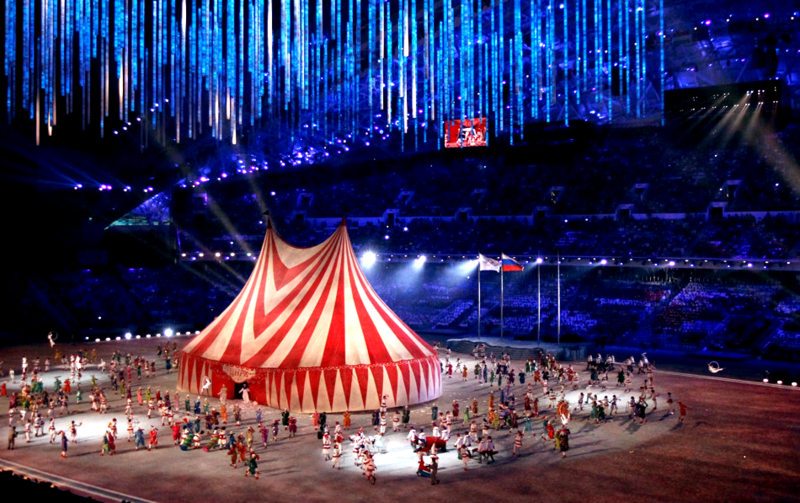 I am talking about the creative minds behind the Olympic ceremonies. Time after time, they take the word ‘impossible’ and turn it into a challenge. As a show creator, I have always watched the opening ceremony of the Olympics with great admiration and it is no secret that me and my colleagues aspire to be named among these creative minds one day. Since we’re just days away from the 2018 Winter Olympics in Pyeongchang and I’m already looking forward to attending the ceremony, I would like to share some of my favourite moments in the history of the Olympic Ceremonies. These moments are all, without exception, game changing moments in the global live show industries. Of all the moments in this list, I reckon this one is probably freshest in your memory as well. 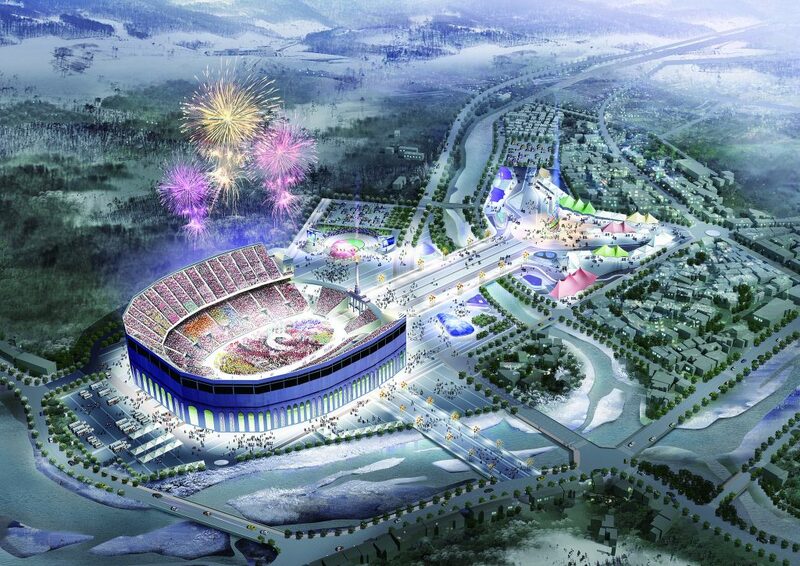 During the opening ceremony of the last Winter Olympics there was an enormous winter scene in which five giant snowflakes were supposed to transform into the Olympic rings. But due to a technical malfunction one of the snowflakes remained a snowflake. Naturally, this caused an explosion on the internet. 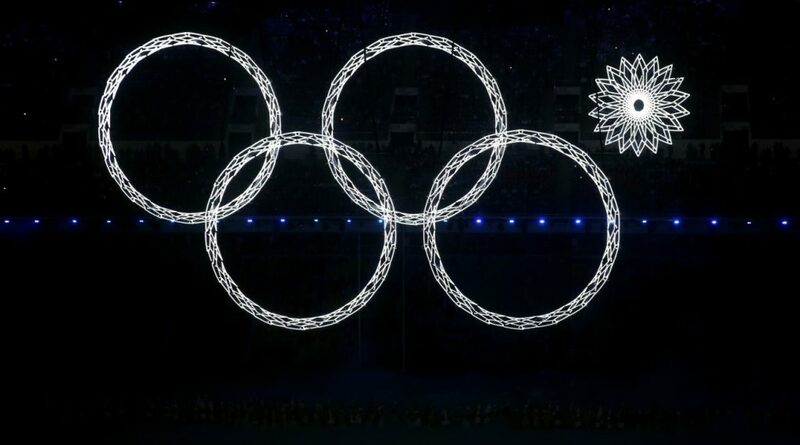 The rings (or lack of) were rapidly turned into a meme and spread by social media. But it was neither the effect of social media nor the obvious malfunction that was a game changer. It was their chance at redemption. What they decided to do took me by surprise as I was sitting among the crowd during the closing ceremony. The show creators pulled a Pinocchio and recovered from the original malfunction by using some self-mockery. A brave thing to do and I still remember the goosebumps I got from it. Check the video below to see what they did! 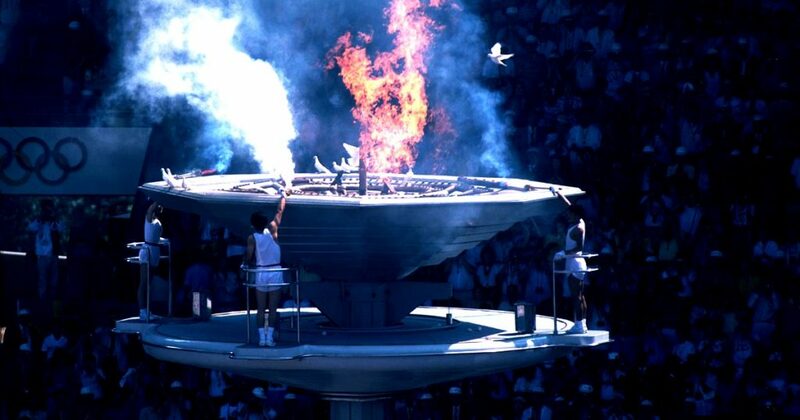 The lighting of the cauldron has always been a highly anticipated moment during the opening ceremony. 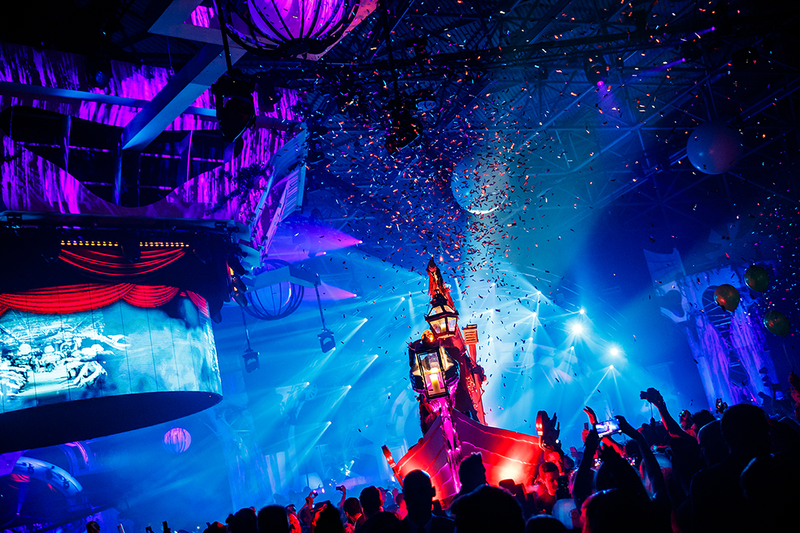 Whether it’s lit by Muhammed Ali himself (Atlanta, 1996) or by an archer shooting a flaming arrow over an enormous crowd into a seven story high cauldron (Barcelona 1992), show creators tend to go all out. During the Olympics in Rio billions of people watched as the Olympic flame was lit inside the beautiful cauldron designed by Anthony Howe. As the flame rose and the mind bending kinetic sculpture started moving people were in absolute awe. 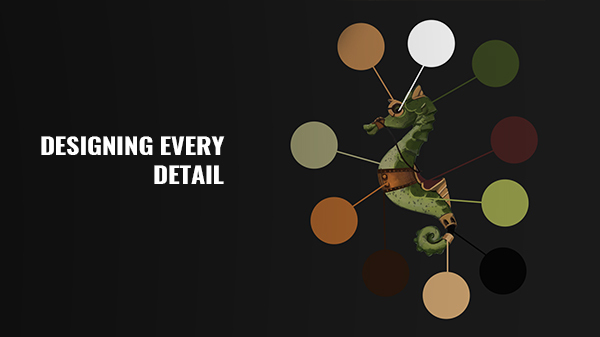 But it was not just the design specifically that was memorable. This was actually the first time they did not use conventional gas to keep it burning. 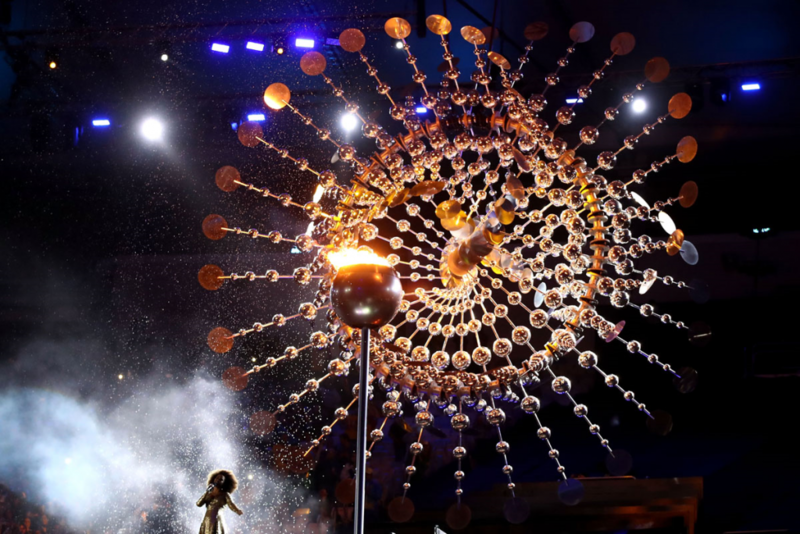 Making it the first ‘green’ Olympic flame, symbolizing a bigger change in the live show industry (and the world). 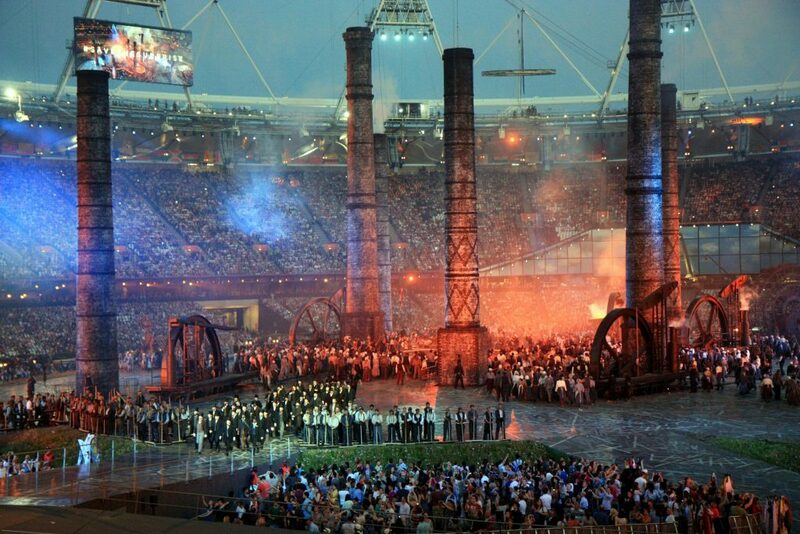 The opening ceremony at the 2012 Summer Olympics in London was one of exceptional quality. Anyone who saw it will forever remember the iconic moments that were put into this show. Apart from the 20 metres tall Voldemort roaming the stadium, the giant oak tree flying around or James Bond and the Queen herself parachuting into the stadium, there was one moment when I think my jaw actually hit the floor. It is common to incorporate the host’s history into the ceremony. But I had never seen something more grandiose then the way they portrayed the transition to the industrial revolution. As ‘workers’ were dancing around the pitch, six enormous smoking chimneys appeared out of nowhere and rose up to the ceiling in a matter of seconds. This might be one of the most spectacular special effects that I have ever seen in a live show. 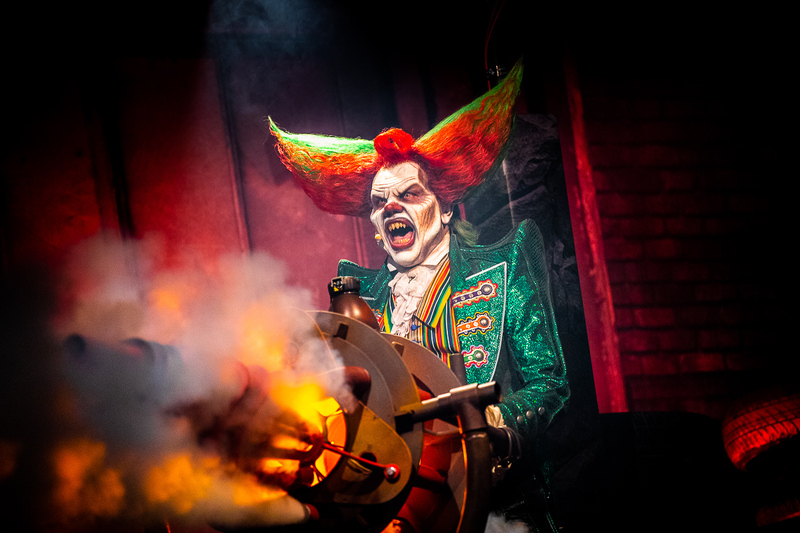 Furthermore, the use of gigantic inflatables combined with impressive technological resourcefulness presents an excellent solution for creating props that are used in such an enormous space as a stadium. If you are curious about these inflatable decor designs be sure to check the dutch company Airworks, as they provided inflatables for both the Olympic ceremonies in London and Sochi. After the tornado, the papers were whirling down on the stadium floor. An enormous crowd of circus artists entered the arena. While a bunch of them were keeping the audience captivated with their acts and performances, the rest were sweeping the papers on the floor towards the middle of the arena while doing a dance. When the papers were in the middle they put up a massive circus tent within seconds, covering the mess. I was deeply impressed by the idea to shift the focus from the mess to the performances while incorporating the cleaning into the choreography. While airplanes were drawing the Olympic flag in the sky, four athletes with the Olympic flame were rising up to the Olympic cauldron. But some of the white doves were still sitting in the cauldron as it was lit on fire. Despite it being obligatory by the IOC Charter, and using countless of other animals, flocks of birds were somehow never to be seen again during these shows. 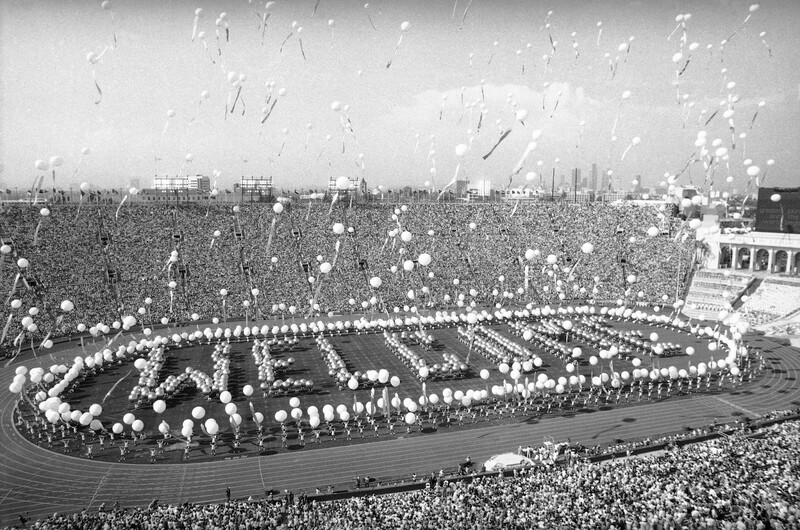 Check the video below for the opening ceremony of Seoul, 1988. 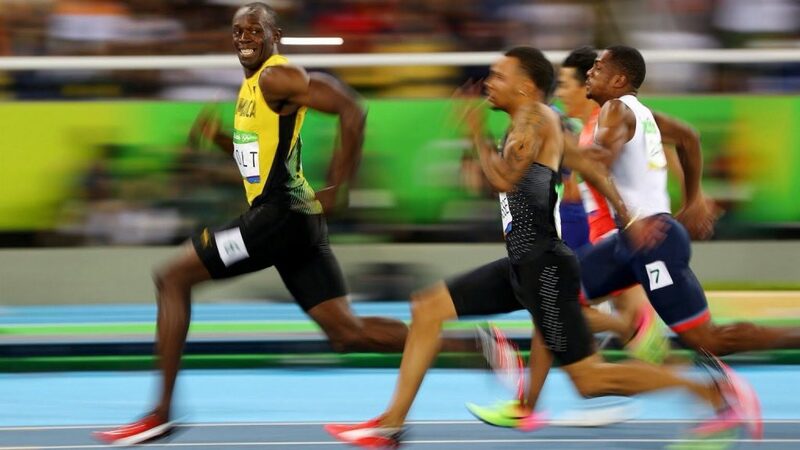 Besides these moments, there are countless of other iconic moments in the history of the Olympic ceremonies. For example the rocket man flying around the stadium in Los Angeles 1984, James Bond parachuting into the ceremony together with the Queen of England or DJ Tiësto being the first Dj ever to make an appearance during an Olympic ceremony. But since I do not have the time to write a book about it, I decided to keep it short. If you do want to read a book about it, ‘The secrets of the Olympic ceremonies by Myles A. Garcia’ is a great recommendation and a must-read for everyone working in the show industry. If you feel like something is missing in this list, please feel free to add some of you own favorite moments of the ceremonies in the comments below!